For other uses, see Narodnaya Volya (disambiguation). Narodnaya Volya (Russian: Наро́дная во́ля, IPA: [nɐˈrodnəjə ˈvolʲə], lit. People's Will) was a 19th-century revolutionary political organization in the Russian Empire which conducted targeted killing of government officials in attempt to promote reforms in the country. The organization declared itself to be a populist movement that succeeded Narodniks. Composed primarily of young revolutionary socialist intellectuals believing in the efficacy of terrorism, Narodnaya Volya emerged in Autumn 1879 from the split of an earlier revolutionary organization called Zemlya i Volya ("Land and Liberty"). Based upon an underground apparatus of local, semi-independent cells co-ordinated by a self-selecting Executive Committee, Narodnaya Volya continued to espouse acts of revolutionary violence in an attempt to spur mass revolt against Tsarism, culminating in the successful assassination of Tsar Alexander II in March 1881—the event for which the group is best remembered. It favored the use of secret society-led terrorism as an attempt to violently destabilize the Russian Empire and provide a focus for popular discontent against it for an insurrection, justified “as a means of exerting pressure on the government for reform, as the spark that would ignite a vast peasant uprising, and as the inevitable response to the regime's use of violence against the revolutionaries”. The group developed ideas—such as targeted killing of the 'leaders of oppression'—that were to become the hallmark of subsequent violence by small non-state groups, and they were convinced that the developing technologies of the age—such as the invention of dynamite, which they were the first anarchist group to make widespread use of—enabled them to strike directly and with discrimination. 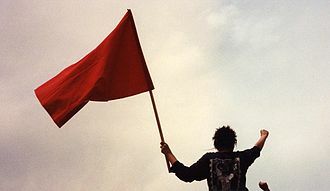 Much of the organization's philosophy was inspired by Sergey Nechayev and "propaganda by the deed"-proponent Carlo Pisacane, the group served as inspiration and forerunner for other revolutionary socialist and anarchist organizations that followed, including in particular the Russian Socialist Revolutionary Party (PSR). 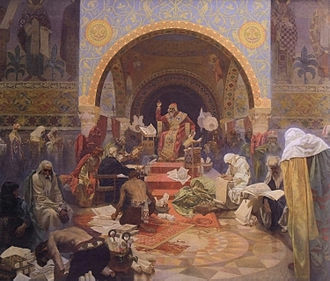 The emancipation of the serfs in 1861 did not suddenly end the state of grim rural poverty in Russia, and the autocracy headed by the Tsar of Russia and the nobles around him, as well as the privileged state bureaucracy, remained in firm control of the nation's economy from which it extracted pecuniary benefits. By the beginning of decade of the 1870s, dissent regarding the established political and economic order had begun to take concrete form among many members of the intelligentsia, which sought to foster a modern and democratic society in Russia in place of the economic backwardness and political repression which marked the old regime. 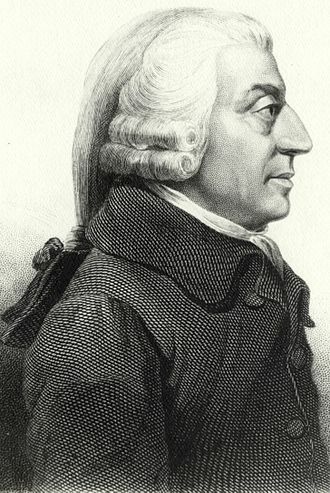 A set of "populist" values became commonplace among these radical intellectuals seeking change of the Russian economic and political form, the Russian peasantry, based as it was upon its historic village governing structure, the peasant commune (obshchina or mir), and its collective holding and periodic redistribution of farmland, was held to be inherently socialistic, or at least fundamentally amenable to socialist organization. 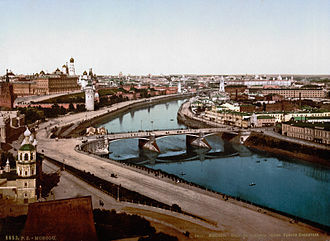 It was further believed that this fact made possible a unique path for the modernization of Russia which bypassed the industrial poverty that was a feature of early capitalism in Western Europe—the region to which Russian intellectuals looked for inspiration and by which they measured the comparatively backwards state of their own polity. 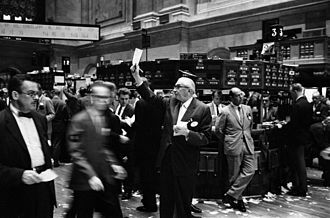 Moreover, the radical intelligentsia believed it axiomatic that individuals and the nation had the power to control their own destiny and that it was the moral duty of enlightened civil society to transform the nation by leading the peasantry in mass revolt that would ultimately transform Russia to a socialist society. These ideas were regarded by most radical intellectuals of the era as nearly incontestable, the byproduct of decades of observation and thought dating back to the conservative Slavophiles and sketched out by such disparate writers as Alexander Herzen (1812–1870), Pyotr Lavrov (1823–1900), and Mikhail Bakunin (1814–1876). Socialist study circles (kruzhki) began to emerge in Russia during the decade of the 1870s, populated primarily by idealistic students in major urban centers such as St. Petersburg, Moscow, Kiev, and Odessa. These initially tended to have a loose organizational structure, decentralized and localized, bound together by the personal familiarity of participants with one another. 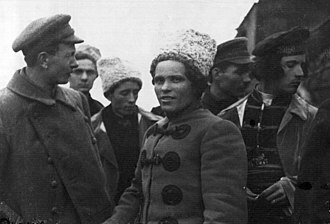 Efforts to propagandize revolutionary and socialist ideas among factory workers and peasants were quickly met with state repression, however, with the Tsarist secret police (Okhrana) identifying, arresting, and jailing agitators. In the spring of 1874 a mass movement of "going to the people" began, with young intellectuals taking jobs in rural villages as teachers, clerks, doctors, carpenters, masons, or common farm laborers, attempting to immerse themselves in the peasants' world so as to better inculcate them with socialist and revolutionary ideas. Fired with messianic zeal, perhaps 2,000 people left for rural posts in the spring; by the fall some 1,600 of these found themselves arrested and jailed, failing to make the slightest headway in fomenting agrarian revolution. The failure of this movement, marked by a rejection of political arguments by the peasantry and easy arrests of public speakers by local authorities and the Okhrana, deeply influenced the revolutionary movement in years to follow, the need for stealth and secrecy and more aggressive measures seemed to have been made clear. Following the failure of the 1874 effort at "going to the people", revolutionary populism congealed around what would be the strongest such organization of the decade, Zemlya i Volya ("Land and Liberty"), the prototype of a new type of centralized political organization which attempted to muster and direct every potential aspect of urban and rural discontent. The nucleus of this new organization, which borrowed its name from radicals of the preceding decade, was established in St. Petersburg late in 1876, as an underground political party marked by extreme secrecy in the face of secret police repression, few primary records originating from the group documenting its existence have survived. The "rebels" idealize the people, they hope that in the very first moments of freedom political forms will appear which correspond to their own conceptions based on the obshchina and on federation... The party's task is to widen the sphere of action of self-administration to all internal problems. An extensive program was drawn up in St. Petersburg in 1876 calling for the break up of the nations of the Russian Empire, granting of all land to the "agricultural working class", and transfer of all social functions to the village communes, this program warned "Our demands can be brought about only by means of violent revolution", and it prescribed "agitation...both by word and above all by deed—aimed at organizing the revolutionary forces and developing revolutionary feelings" as the vehicle for "disorganization of the state" and victory. These ideas were borrowed directly from Mikhail Bakunin, a radicalized émigré nobleman from Tver guberniia regarded as the father of collectivist anarchism; in practice, however, a significant percentage of Zemlya i Volya members (so-called Zemlevoltsy), returned to the model of the study circle and concentrated their efforts upon the industrial workers of urban centers. 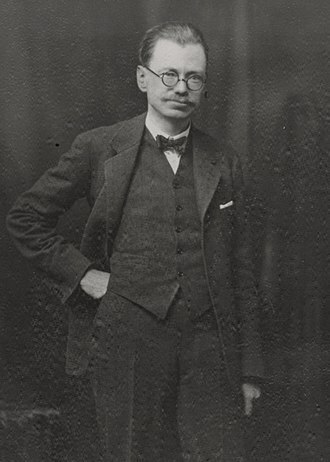 Among these were the young Georgi Plekhanov (1856–1918), an individual later celebrated as the father of Russian Marxism. Zemlya i Volya member Alexsandr Konstantinovich Soloviev (1846–1879) was executed after failing to shoot Tsar Alexander II. Whatever the practical activities of its local groups, the official position of the Zemlya i Volya organization endorsed the tactic of terrorism, which the lead article in the first issue of the party's newspaper characterized as a "system of mob law and self-defense" put into action by a "protective detachment" of the liberation movement. The group also rationalized political assassination as "capital punishment" and "self-defense" for "crimes" against the nation, the organization began to look at regicide as the highest manifestation of political action, culminating in a December 1879 assassination attempt on Tsar Alexander II by the Zemlevolets A. K. Soloviev (1846–1879). Accelerated state repression of Zemlya i Volya followed the hanging of attempted assassin Soloviev, with arrests nearly wiping out revolutionary cells in the Ukraine and putting severe pressure on the organization elsewhere, the tension over terrorism led to a division of the organization, with proto-Marxists who favored an end to the use of terrorism gaining control over the official newspaper while the terrorist wing controlled a majority of the Executive Committee. Efforts to reconcile the two wings were unsuccessful and a split was formalized on August 15, 1879 by a commission appointed to divide the organization's assets. During the latter part of 1879, those favoring study circles and propaganda to build a revolutionary movement from the ground up, exemplified by Plekhanov and his co-thinkers, launched independent activity as a new organization called Chërnyi Peredel (Russian: Чёрный передел, "Black Repartition"). The unrepentant terrorist wing re-established itself as well, this time under a new banner—Narodnaya Volya ("People's Freedom", frequently albeitly imprecisely rendered into English as "People's Will"). During the first months after its formation, Narodnaya Volya founded or co-opted workers study circles in the major cities of St. Petersburg, Moscow, Odessa, Kiev, and Kharkov, the group also established cells within the military, among the army garrison at St. Petersburg and the Kronstadt naval base, the organization established a party press and issued illegal newspapers in support of its efforts—five issues of the eponymous Narodnaya Volya and two issues of a newspaper targeted to industrial workers, Rabochaia Gazeta (The Workers' Newspaper). A series of illegal leaflets were produced, putting party proclamations and manifestos in the hands of potential supporters. Narodnaya Volya saw themselves as continuers of the populist tradition of earlier years rather than marking a fresh break from the past, declaring in their press that while they would not keep the title Zemlevoltsy since they no longer represented the earlier party's entire tradition, they nevertheless intended to continue the principles established by the Zemlya i Volya organization and to continue to make "Land and Liberty" their "motto" and "slogan". The organization promulgated a program which called for "complete freedom of conscience, speech, press, assembly, association, and electoral agitation", the group made the establishment of political freedom its top public objective, with the radical publicist N.K. 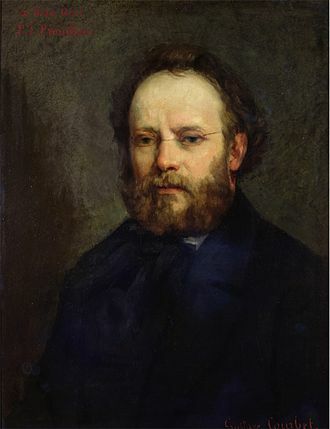 Mikhailovsky (1842–1904) contributing two finely crafted "political letters" on the topic to two early issues of the party's official organ. The party declared its intention to lay down arms as soon as political concessions were made. 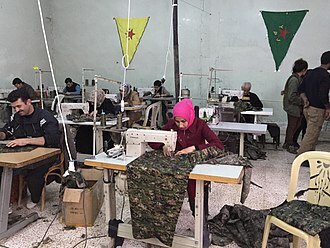 There were no dreams of the organization forming the basis of a ruling party, with a fundamental hope maintained in the emergence of the self-governing village commune as the basis of a new socialist society. The Narodnaya Volya organization also began a terrorist campaign, with the governing Executive Committee issuing a proclamation calling for the execution of Tsar Alexander II for his crimes against the Russian people. While giving lip service to the demand for political freedom and a constitutional republic as its objective, the so-called Narodnovoltsy seem to have actually believed themselves to be pursuing a maximalist program in which terrorism and political assassination would "break the government itself" and end all vestiges of the Tsarist regime in Russia, the government was seen as weak and tottering, and chances for its revolutionary overthrow promising. Narodnaya Volya continued the trend towards secret organization and centralized direction that had begun with Zemlya i Volya—principles held to tightly in the face of growing government repression of participants in the terrorist organization. Democratic control of the party apparatus was deemed impossible under existing political conditions and the organization was centrally directed by its self-selecting Executive Committee, which included, among others Alexander Mikhailov, Andrei Zhelyabov (1851–1881), Sophia Perovskaya (1853–1881), Vera Figner (1852–1942), Nikolai Morozov (1854–1946), Mikhail Frolenko (1848–1938), Aaron Zundelevich (1852–1923), Savely Zlatopolsky (1855-1885) and Lev Tikhomirov (1852–1923). The Executive Committee was in existence for six years, during which time it was populated by less than 50 people, including in its ranks both men and women, the official membership of the Narodnaya Volya organization during its existence has been estimated at 500, bolstered by an additional number of informal followers. A document listing the movement's participants, including those from the period from 1886 to 1896 when only a small skeleton organization remained, totals 2,200. 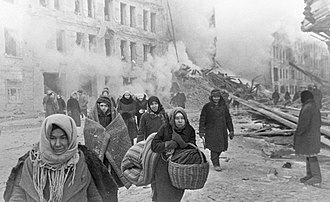 Demographically ethnic Russians dominated the organization, with about 14% of the group's members sent to trial of ethnic Jewish origins. Two Jews (Zundelevich and Zlatopolsky) were long-term members of the Executive Committee, the number of ethnic Jews in the Narodnaya Volya was roughly comparable to the percentage of ethnic Jews subjected to political arrests throughout the entire period from 1884 to 1890, which totaled 15%. Judging by the membership in the Executive Committee, Jews constituted about 7% of the Narodnaya Volya's leadership at the time when no more than 1% of the population of the Russian Empire was of a Jewish origin or background. The assassination of Tsar Alexander II on March 1 (13), 1881, marked the high-water mark of Narodnaya Volya as a factor in Russian politics. While the assassination did not end the Tsarist regime, the government ran scared in the aftermath of the bomb that killed him, with the formal coronation ceremony of Tsar Alexander III postponed for more than two years due to security concerns. 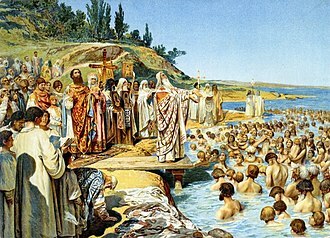 The Tsar had been formally sentenced to death by the Executive Committee of Narodnaya Volya on August 25, 1879, on the heels of the execution of former Zemlevolets Solomon Wittenberg, who had attempted to build a mine to sink a ship carrying the Tsar into Odessa harbor the previous year. An initial plan called for the use of dynamite to destroy a train carrying the Tsar, which ended with an explosion that destroyed a freight car and led to a derailment. A February 1880 attempt used a quantity of dynamite to attempt to blow up the Tsar in a palace dining room, the resulting explosion killed 11 guards and soldiers and wounded 56, but missed the Tsar, who was not in the dining hall as expected. 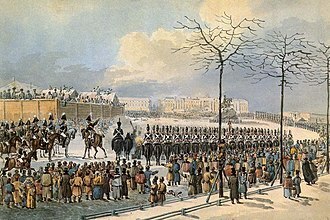 A state of siege followed, during which the demoralized Tsar avoided public appearances amidst sensational rumors in the press of additional attacks in the offing. One French diplomat likened the Tsar to a ghost—"pitiful, aged, played out, and choked by a fit of asthmatic coughing at every word"; in response to the security crisis the Tsar established a new Supreme Commission for the Maintenance of State Order and Public Peace, under the command of Mikhail Loris-Melikov, a hero of the Russo-Turkish War. Just over a week later, a Narodnovolets terrorist attempted to assassinate Loris-Melikov with a handgun, firing a shot but missing, only to be hanged two days later. Repression was ratcheted upwards, with two Narodnaya Volya activists executed in Kiev the following month for the crime of distributing revolutionary leaflets. After the assassination of Alexander II, Narodnaya Volya went through a period of ideological and organizational crisis, the most significant attempts at reviving Narodnaya Volya are associated with the names of Gherman Lopatin (1884), Pyotr Yakubovich (1883–1884), Boris Orzhikh, Vladimir Bogoraz, Lev Sternberg (1885), and Sofia Ginsburg (1889). 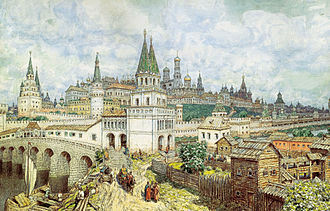 Organizations similar to Narodnaya Volya in the 1890s (in St. Petersburg and abroad) largely abandoned the revolutionary ideas of Narodnaya Volya. Narodnaya Volya's activity became one of the most important elements of the revolutionary situation in late 1879–1880. However, ineffective tactics of political conspiracy and preference for terrorism over other means of struggle failed, at the turn of the century, however, as increasing numbers of former members of Narodnaya Volya were released from prison and exile, these veteran revolutionaries helped to form the Socialist Revolutionary Party, which revived many of the goals and methods of the former narodniki, including peasant revolution and terror. Vladimir Lenin's elder brother, Alexander Ulyanov, was a later member of a subsequent incarnation of Narodnaya Volya, and led a cell that plotted to assassinate Tsar Alexander III. ^ Derek Offord, The Russian Revolutionary Movement in the 1880s'.' Cambridge, England: Cambridge University Press, 1986; p. 1. ^ Offord, The Russian Revolutionary Movement in the 1880s, pp. 1–2. ^ a b Offord, The Russian Revolutionary Movement in the 1880s, p. 2. ^ Offord, The Russian Revolutionary Movement in the 1880s, pp. 2–3. ^ a b Offord, The Russian Revolutionary Movement in the 1880s, p. 16. ^ Offord, The Russian Revolutionary Movement in the 1880s, pp. 16–17. ^ a b Offord, The Russian Revolutionary Movement in the 1880s, p. 17. ^ Offord, The Russian Revolutionary Movement in the 1880s, p. 18. ^ a b Franco Venturi, Roots of Revolution: A History of the Populist and Socialist Movements in Nineteenth-Century Russia . London: Weidenfeld and Nicolson, 1960; p. 558. ^ Venturi, Roots of Revolution, pp. 558-559. ^ Venturi, Roots of Revolution, pp. 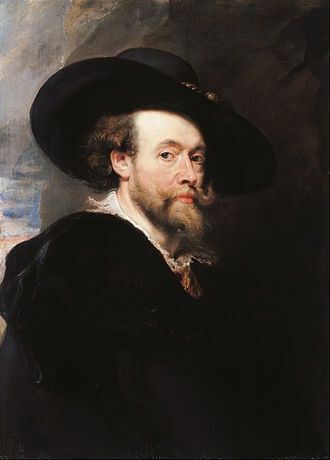 562-563. ^ A.P. Pribyleva-Korba and V.N. Figner, Narodovolts Aleksandr Dmitrievich Mikhailov. Leningrad, 1925; p. 106. Cited in Venturi, Roots of Revolution, p. 572. ^ a b Cited in Venturi, Roots of Revolution, pp. 573-574. ^ Offord, The Russian Revolutionary Movement in the 1880s, p. 19. ^ Offord, The Russian Revolutionary Movement in the 1880s, p. 21. ^ Offord, The Russian Revolutionary Movement in the 1880s, pp. 21–22. ^ a b Quoted in Offord, The Russian Revolutionary Movement in the 1880s, p. 24. ^ Offord, The Russian Revolutionary Movement in the 1880s, p. 25. ^ a b Avrahm Yarmolinsky, Road to Revolution: A Century of Russian Radicalism. New York: Macmillan, 1955; p. 229. ^ Yarmolinsky, Road to Revolution, p. 228. ^ Offord, The Russian Revolutionary Movement in the 1880s, p. 26. ^ a b c d e Offord, The Russian Revolutionary Movement in the 1880s, p. 28. ^ Offord, The Russian Revolutionary Movement in the 1880s, p. 32. ^ Literatura partii Narodnoy voli. Moscow, 1907; p. 84. Cited in Offord, The Russian Revolutionary Movement in the 1880s, pp. 28–29. ^ a b Offord, The Russian Revolutionary Movement in the 1880s, p. 29. ^ Offord, The Russian Revolutionary Movement in the 1880s, p. 33. ^ Offord, The Russian Revolutionary Movement in the 1880s, pp. 28-29. ^ Offord, The Russian Revolutionary Movement in the 1880s, p. 34. ^ Offord, The Russian Revolutionary Movement in the 1880s, p. 30. ^ Yarmolinsky, Road to Revolution, p. 233. ^ Yarmolinsky, Road to Revolution, pp. 234–235. ^ Yarmolinsky, Road to Revolution, p. 234. ^ a b Yarmolinsky, Road to Revolution, p. 247. ^ Boyarintsev, "Cherta osedlosti" i russkaia revolyutsiia. Moscow: Algoritm. ^ Offord, The Russian Revolutionary Movement in the 1880s, p. 36. ^ Yarmolinsky, Road to Revolution, p. 250. ^ Yarmolinsky, Road to Revolution, pp. 252-257. ^ Yarmolinsky, Road to Revolution, pp. 259-260. ^ Yarmolinsky, Road to Revolution, p. 261. ^ Viscount Vogüé, Journal: 1877–1883. Paris: 1932. Cited in Yarmolinsky, Road to Revolution, p. 261. ^ a b c Yarmolinsky, Road to Revolution, p. 262. James H. Billington, Mikhailovsky and Russian Populism. Oxford: Oxford University Press, 1958. Leopold H. Haimson, The Russian Marxists and the Origins of Bolshevism. Cambridge, MA: Harvard University Press, 1955. J. L. H. Keep, The Rise of Social Democracy in Russia. Oxford: Oxford University Press, 1963. Evgeny Lampert, Sons Against Fathers: Studies in Russian Radicalism and Revolution. Oxford: Oxford University Press, 1965. Derek Offord, Revolutionary Populist Groups in Russia in the 1880s. PhD dissertation. University of London, 1974. Derek Offord, The Russian Revolutionary Movement in the 1880s. Cambridge, England: Cambridge University Press, 1986. Philip Pomper, Peter Lavrov and the Russian Revolutionary Movement. Chicago: University of Chicago Press, 1972. Philip Pomper, The Russian Revolutionary Intelligentsia. New York: Thomas Y. Crowell, 1970. Robert Service, "Russian Populism and Russian Marxism: Two Skeins Entangled", in Roger Bartlett (ed. ), Russian Thought and Society, 1800–1917: Essays in Honour of Eugene Lampert. Keele, England: University of Keele, 1984; pp. 220–246. Hugh Seton-Watson, The Decline of Imperial Russia, 1855–1914. New York: Frederick A. Praeger, 1952. Franco Venturi, Roots of Revolution: A History of the Populist and Socialist Movements in Nineteenth-Century Russia . London: Weidenfeld and Nicolson, 1960. Andrzej Walicki, The Controversy Over Capitalism: Studies in the Social Philosophy of the Russian Populists. Oxford: Oxford University Press, 1969. Andrzej Walicki, A History of Russian Thought from the Enlightenment to Marxism. Oxford: Oxford University Press, 1980. Avrahm Yarmolinsky, Road to Revolution: A Century of Russian Radicalism. New York: Macmillan, 1955. Targeted killing is a form of assassination based on the presumption of criminal guilt. By definition, targeted or named killings do not occur in any other than a declared state of war. Some analysts believe it to be a euphemism for the assassination of an individual by a state organization or institution outside a judicial procedure or a battlefield. 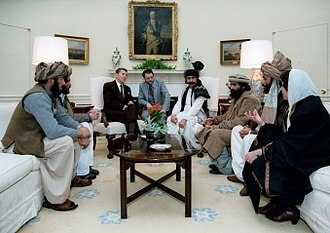 Targeted killings were employed extensively by death squads in El Salvador, Colombia, Targeted killings have been used in Somalia, and in the Balkans during the Yugoslav Wars. 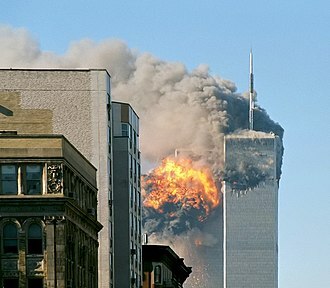 The United States government carries out targeted killings, such as the killing of Anwar al-Awlaki, Targeted killings have been used by narcotics traffickers. Use of targeted killings by Israeli conventional military forces became commonplace after the Second Intifada, though initially opposed by the Bush Administration, targeted killings have become a frequent tactic of the United States government in the War on Terror. Under the Obama administration use of targeted killings has expanded, most frequently through use of combat drones operating in Afghanistan, Pakistan or Yemen, the legality of targeted killing is disputed. They argue that drones are more humane and more accurate than manned vehicles, the report relied upon figures provided by the Roman Catholic Church and included allegations of torture and summary executions. Americas Watch and other groups reported targeted killing of civilians by the Nicaraguan Sandinista government in the following year during its campaign against the Contras. Politically motivated targeted killings of trade unionists and activists were recorded in Costa Rica Haiti, referring to killings by drug cartels in Washington, D. C. mayor Marion Barry infamously stated, Washington should not be called the murder capital of the world. We are the capital of the world. Barry went on to explain that targeted killings by D. C. s cartels were comparable to those during the days of Al Capone, drug-related mob hits in Moscow were euphemistically described as targeted killings by the Cox News Service and Atlanta Journal-Constitution in the 1990s. During fighting in the Somali Civil War, Sean Devereux described torture and killing by warlords in Kismayo as targeted killings, in Africa, Reuters described targeted killings of political opponents by Hutu army and militias in Rwanda during the Rwandan Genocide. The Russian nobility arose in the 14th century. Its members staffed most of the Russian government apparatus until the February Revolution of 1917, the Russian word for nobility, derives from the Polish word dwor, meaning the court of a prince or duke and later, the court of the tsar or emperor. A nobleman is called a dvoryanin, pre-Soviet Russia shared with other countries the concept that nobility connotes a status or a social category rather than a title. The nobility arose in the 12th and 13th centuries as the lowest part of the military class. From the 14th century land ownership by nobles increased, and by the 17th century the bulk of feudal lords and they made up the Landed army —the basic military force of Russia. 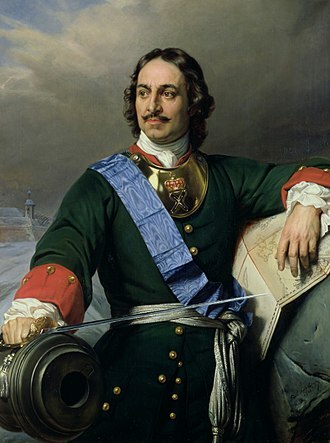 Peter the Great finalized the status of the nobility, while abolishing the boyar title, Russia’s existing economic system, which lacked a sizable middle class and which relied on forced labor, was an impassable obstacle to the development of a free market. Furthermore, the lower classes – the overwhelming majority of the Russian population – lived virtually isolated from the upper classes, most of the nobility’s “western” tendencies were largely superficial and confined to a tiny portion of the populace. 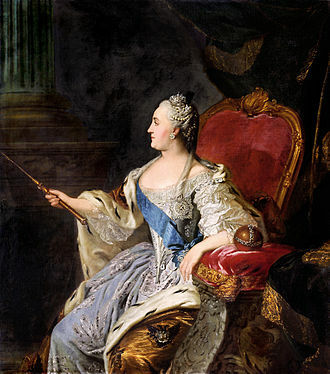 Ironically, by introducing the nobility to political literature from Western Europe, Catherine exposed Russia’s autocracy to them as archaic and illiberal. 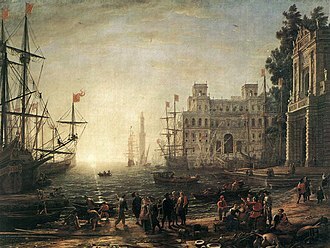 Although Peter the Great is considered by many to be the first westernizer of Russia, there were, in fact, ivan III, starting in 1472, sent numerous agents to Italy to study architecture. Both Michael Romanov and his son Alexis invited and sponsored European visitors – mostly military, Peter the Great was and foremost, eager to do away with Russia’s reputation as an Asiatic land and to propel his new empire onto the political stage of Western Europe. 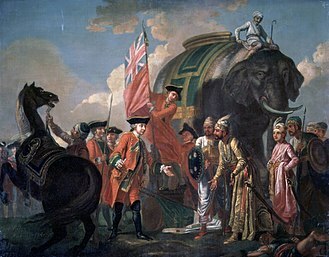 In 1697, he began to send nobles on compulsory trips abroad to England, while the tsar primarily designed these expeditions for naval training, he encouraged the noblemen to learn about the arts of the west. 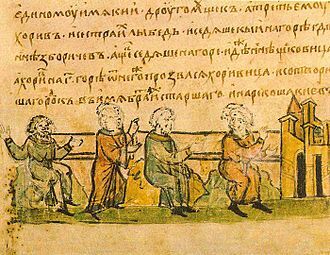 When the travelers returned to Moscow, Peter tested them on their training, insisting on further education for those whose accumulated knowledge was unsatisfactory. 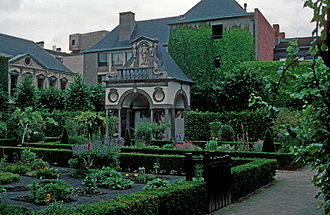 By 1724, he had established – for the purpose of study and discovery – the Academy of Sciences. Sergey Gennadiyevich Nechayev was a Russian revolutionary associated with the Nihilist movement and known for his single-minded pursuit of revolution by any means necessary, including terrorism. He was the author of the radical Catechism of a Revolutionary and he fled Russia in 1869 after having been involved in the murder of a former comrade. Complicated relationships with fellow revolutionaries caused him to be expelled from the First International, arrested in Switzerland in 1872, he was sent back to Russia, received a 20-year sentence and died in prison. The character Verkhovensky in Dostoyevskys anti-nihilistic novel, Demons, is based on Nechayev, Sergey Nechayev was born in Ivanovo, a small textile town, to poor parents—his father was a waiter and sign painter. His mother died when he was eight and his father remarried and had two more sons. They lived in a house with his two sisters and grandparents. They were ex serfs who had moved to Ivanovo and he had already developed an awareness of social inequality and a resentment of the local nobility in his youth. At 10, Sergey had learned his fathers trades—waiting at banquets and his father got him a job as an errand boy in a factory, but Sergey refused the servants job. His family paid for tutors who taught him Latin, French, Maths. In 1865 at age 18, Nechayev moved to Moscow, where he worked for the historian Mikhael Pogodin, a year later, he moved to St. Petersburg, passed a teachers exam and began teaching at a parish school. Inspired by the attempt on the Tsars life by Karakozov, Nechayev participated in student activism in 1868–1869, leading a radical minority with Petr Tkachev. Nechayev took part in devising this student movements Program of revolutionary activities, the program suggested ways for creating a revolutionary organization and conducting subversive activities. In particular, the program envisioned composition of the Catechism of a Revolutionary, in December 1868 he met Vera Zasulich at a teachers meeting. He asked her to come to his school where he held candlelit readings of revolutionary tracts and he would place pictures of Robespierre and Saint-Just on the table while reading. The term revolutionary socialism refers to socialist tendencies that subscribe to the doctrine that social revolution is necessary in order to affect structural changes to society. More specifically, it is the view that revolution is a precondition for a transition from capitalism to socialism. Revolutionary socialists believe such a state of affairs is a precondition for establishing socialism, Revolutionary socialism encompasses multiple political and social movements that may define revolution differently from one another. Revolutionary socialism includes non-Marxist movements like anarchism, revolutionary syndicalism and it is used in contrast to the reformism of social democracy, which is not anti-capitalist in form. Revolutionary socialism is opposed to social movements that seek to ameliorate the economic. Revolutionary socialism exists in contrast to the concept of revolutionary groups seizing power without first achieving mass support. Though not in substance, yet in form, the struggle of the proletariat with the bourgeoisie is at first a national struggle, the proletariat of each country must, of course, first of all settle matters with its own bourgeoisie. The Communists fight for the attainment of the aims, for the enforcement of the momentary interests of the working class, The Communists disdain to conceal their views. 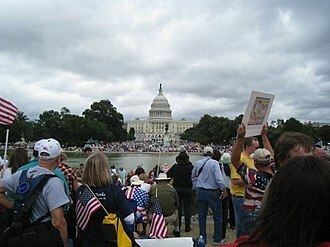 They openly declare that their ends can be attained only by the overthrow of all existing social conditions. Let the ruling classes tremble at a Communistic revolution,24 years after the Communist Manifesto Marx and Engels admitted that in developed countries labour may attain its goal by peaceful means. Marxist scholar Adam Schaff argued that Marx and Lenin have expressed such view on many occasions, the reformist viewpoint was introduced into Marxist thought by Eduard Bernstein, one of the leaders of the Social Democratic Party of Germany. From 1896 to 1898, Bernstein published a series of articles entitled Probleme des Sozialismus and these articles led to a debate on revisionism in the SPD, and can be seen as the origins of a reformist trend within Marxism. In 1900, Rosa Luxemburg wrote Social Reform or Revolution, a polemic against Bernsteins position, the work of reforms, Luxemburg argued, could only be carried on, in the framework of the social form created by the last revolution. Georgi Valentinovich Plekhanov was a Russian revolutionary and a Marxist theoretician. He was a founder of the movement in Russia and was one of the first Russians to identify himself as Marxist. Facing political persecution, Plekhanov emigrated to Switzerland in 1880, where he continued in his political activity attempting to overthrow the Tsarist regime in Russia. During World War I Plekhanov rallied to the cause of the Entente powers against Germany, Plekhanov was an opponent of the Soviet regime which came to power in the autumn of 1917. Georgi Valentinovich Plekhanov was born 29 November 1856 in the Russian village of Gudalovka in Tambov Governorate, georgis father, Valentin Plekhanov, was a member of the hereditary nobility. Valentin was a member of the stratum of the Russian nobility. Georgis mother, Maria Feodorovna, was a distant relative of the literary critic Vissarion Belinsky and was married to Valentin in 1855. Georgi was the first-born of the five children. Georgis formal education began in 1866, when the 10-year-old was entered into the Konstantinov Military Academy in Voronezh and he remained a student at the military academy, where he was well taught by his teachers and well liked by his classmates, until 1873. His mother attributed her sons life as a revolutionary to liberal ideas to which he was exposed in the course of his education at the school. In 1871, Valentine Plekhanov gave up his effort to maintain his family as a small-scale landlord and he died two years but his body has been on display in the center of the commons ever since. After the death of his father, Plekhanov resigned at the military academy, one perceived in him a love for knowledge, a habit of reading, working. 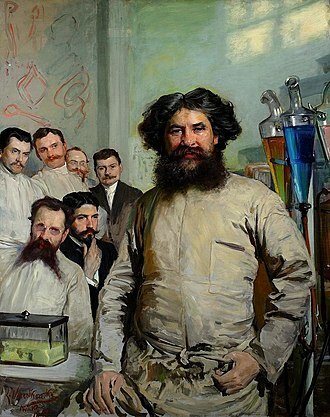 He dreamed at the time of going abroad to complete his training in chemistry, if you take so long to complete your studies in chemistry, when will you begin to work for the revolution. Under Axelrods influence, Plekhanov was drawn into the populist movement as an activist in the revolutionary organization of the day. Plekhanov was one of the organizers of the first political demonstrations in Russia, Plekhanov was forced by the fear of retribution to lead an underground life. He was arrested twice for his activities, in 1877 and again in 1878. Mikhail Alexandrovich Bakunin was a Russian revolutionary anarchist, and founder of collectivist anarchism. He is considered among the most influential figures of anarchism, Bakunins enormous prestige as an activist made him one of the most famous ideologues in Europe, and he gained substantial influence among radicals throughout Russia and Europe. From Fichte, Bakunin went on to himself in the works of Hegel. That led to his embrace of Hegelianism, bedazzled by Hegels famous maxim, in 1840, Bakunin traveled to St. Petersburg and Berlin with the intention of preparing himself for a professorship in philosophy or history at the University of Moscow. In 1842, Bakunin moved from Berlin to Dresden, eventually he arrived in Paris, where he met Pierre-Joseph Proudhon and Karl Marx. He was eventually deported from France for speaking against Russias oppression of Poland, in 1849, Bakunin was apprehended in Dresden for his participation in the Czech rebellion of 1848, and turned over to Russia where he was imprisoned in the Peter-Paul Fortress in Saint Petersburg. He remained there until 1857, when he was exiled to a camp in Siberia. Escaping to Japan, the US and finally ending up in London for a short time, in 1863, he left to join the insurrection in Poland, but he failed to reach his destination and instead spent some time in Switzerland and Italy. The Bakuninist or anarchist trend rapidly expanded in influence, especially in Spain, a showdown loomed with Marx, who was a key figure in the General Council of the International. Bakunin could not attend the congress, as he could not reach the Netherlands, Bakunins faction present at the conference lost, and Bakunin was expelled for supposedly maintaining a secret organisation within the international. 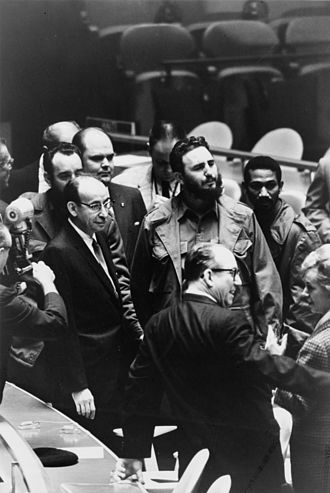 However, the anarchists insisted the congress was unrepresentative and exceeded its powers and this repudiated the Hague meeting, including Bakunins supposed expulsion. The great majority of sections of the International affiliated to the St. Imier body, the far larger Bakuninist international outlasted its small Marxist rival, which was isolated in New York, it greatly facilitated the global spread of anarcho-socialism. The Narodniks were a socially conscious movement of the Russian middle class in the 1860s and 1870s, some of whom became involved in revolutionary agitation against the Tsardom. Their ideology was known as Narodnichestvo, from the Russian народ, people, folk, a common slogan among the Narodniks was хождение в народ, khozhdeniye v narod, going to the people. The Narodnik position was held by intellectuals who read the works of Alexander Herzen and of Nikolay Gavrilovich Chernyshevsky. Critical Narodniks followed Mikhaylovsky, and assumed a flexible stance on capitalism, the more well-known Doctrinaire Narodniks had a firm belief that capitalism had no future in Russia or in any agrarian country. Narodnism arose after the emancipation of the serfs in 1861 under Tsar Alexander II, arguing that freed serfs were being sold into wage slavery, in which the bourgeoisie had replaced landowners, Narodnism aimed to become a political force opposed to the phenomenon. Narodniks viewed aspects of the past with nostalgia, although they resented the former land ownership system, Narodniks focused upon the growing conflict between the peasantry and the so-called kulaks. The groups which formed shared the general aims of destroying the Russian monarchy and the kulaks. The Narodniks generally believed that it was possible to forgo the capitalist phase of Russias development, the Narodniks saw the peasantry as the revolutionary class that would overthrow the monarchy, and perceived the village commune as the embryo of socialism. However, some Narodnik intellectuals called for a revolution that went beyond philosophical and political discussion. In the spring of 1874, the Narodnik intelligentsia left the cities for the villages, given the Narodniks generally middle- and upper-middle-class social background, they found difficulty relating to the impoverished peasants and their culture. They spent much of their time learning peasant customs, such as clothing and dancing, Narodniks were viewed with suspicion by many Russian peasants, who were completely removed from the more modernized culture of the urban sphere. The authorities responded to the Narodniks attempt with repression, one response to this repression was the formation of Russias first organized revolutionary party, Narodnaya Volya, in June 1879. 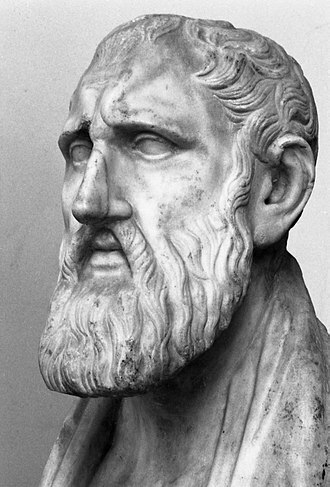 The attempt to get the peasantry to overthrow the Tsar proved unsuccessful, narodism therefore developed the practice of terrorism, the peasantry, they believed, had to be shown that the Tsar was not supernatural, and could be killed. On March 1,1881, they succeeded in assassinating Alexander II, these events did not mark the end of the movement, and the Socialist-Revolutionaries, Popular Socialists, and Trudoviks all pursued similar ideas and tactics to the Narodniks. The philosophy and actions of the Narodniks therefore helped prepare the way for the Russian revolutions of 1905 and 1917, the Narodnik movement was a populist initiative to engage the rural classes of Russia in a political debate that would overthrow the Tsar’s government in the nineteenth century. 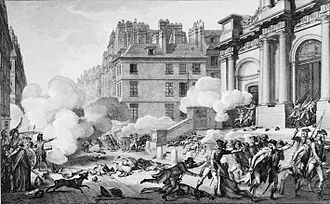 Unlike the French Revolution or the European Revolutions of 1848, the “to the people” movement was political activism primarily from wealthier individuals. The concept of the narod, like the volk in Germany, was an attempt to establish a new identity in Russia that was both nationalistic and liberal. Formed to combat political terrorism and left-wing revolutionary activity, the Okhrana operated offices throughout the Russian Empire and satellite agencies in a number of foreign nations. It was concerned primarily with monitoring the activities of Russian revolutionaries abroad, including Paris, the task was performed by multiple methods, including covert operations, undercover agents, and perlustration—reading of private correspondence. Even the Foreign Agency served this purpose, the Okhrana was notorious for its agents provocateurs, including Dr. Jacob Zhitomirsky, Yevno Azef, Roman Malinovsky and Dmitry Bogrov. The Okhrana tried to compromise the labour movement by creating police-run trade unions, other controversial activities included alleged fabrication of The Protocols of the Elders of Zion and fabrication of the antisemitic Beilis trial. Suspects captured by the Okhrana were passed to the Russian judicial system, the Okhrana never received more than 10% of the police budget, the most it ever received being five million rubles in 1914. Its street address, Fontanka,16, was known in the Russian Empire. The position of Chief of Gendarmes was merged with the Minister, these measures did not prevent the assassination of Alexander II in March 1881. The Imperial Gendarmerie still operated as security police in the rest of the country through their Gubernial, the rise of the socialist movements called for the integration of security forces. Since 1898, the Special Section of the Department of Police succeeded the Gendarmes in gaining information from domestic and foreign agents, perhaps most paradoxical of all was the Okhrana’s collaboration with revolutionary organizations. Sudeykin and his colleague, a revolutionary-turned-police-informant named Sergey Degayev, passed drafts of the publication through Okhrana censors before printing and this episode marked the beginning of the Okhrana’s efforts to surreptitiously observe, but influence and undermine, revolutionary movements. To this end, Zubatov created the Moscow Mechanical Production Workers’ Mutual Aid Society in May 1901, after Zubatov was made head of the Special Section in 1902, he expanded his trade unions from Moscow to St.
Petersburg and Southern Russia. Although the police-run unions continued to operate after Zubatov’s ousting, without Okhrana funding and were fired upon by Imperial soldiers. K. Plehve on July 15,1904, for over twenty years, the Okhrana had focused on interfering with the activities of relatively small, and distinct, revolutionary groups. 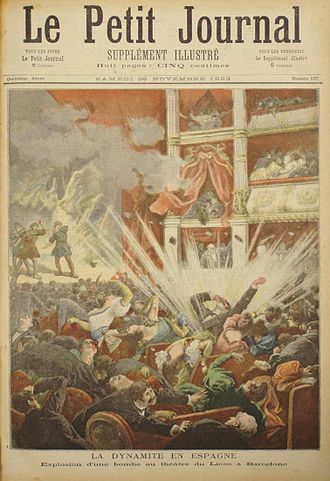 The Revolution of 1905, characterized by seemingly spontaneous marches and strikes, not only did the Okhrana lack the capacity to prevent the mass movements of 1905, or even to contain them once they began, the Okhrana’s misguided attempts may even have worsened the unrest. D. F. Trepov, the Assistant Minister of the Interior in charge of police affairs, in October of that year, Trepov again attempted a violent repression of the revolution only to call off the effort for lack of manpower. Since these attempts at repression never reached fruition, they served to aggravate the already enraged Russian populace. Durnovo in late-October ushered in a period of even more repression of the Revolution. Graves of Vissarion Belinsky, Georgi Plekhanov, and Nikolay Dobrolyubov in the Volkovskoe cemetery, St Petersburg.